This assignment was my first experience using Twitter Ads, and I was really surprised at how much it helped my campaign. For only a few dollars, I watched the impressions on my meme increase, and more importantly, the engagements. I started a new, more professional Twitter for this class and heading into my career, so with only around 30 followers, I wasn’t expecting so much engagement. Moving forward, especially when tweeting on behalf of businesses, I will suggest using Twitter Ads. I also found that prompting several different audiences using the same meme helped me drive engagement. 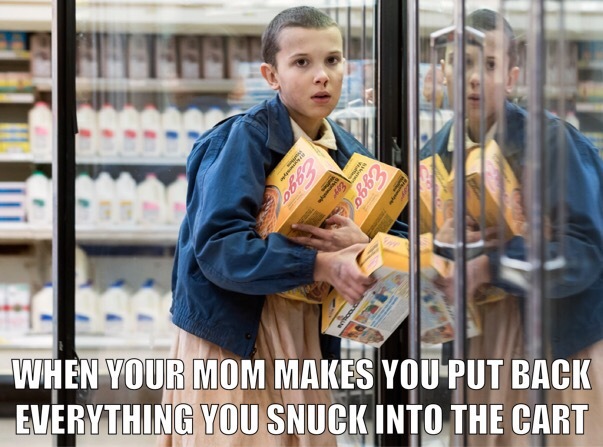 For example, using my meme, I created tweets that targeted young people, and the fans and stars of the show Stranger Things. Looking back on some of the Tweets I published, I think I could have put more thought into the most effective times for my target audiences. Rather than having to scroll to the bottom of their timelines to see my tweet, I could have analyzed popular times for my followers and millennials to be on Twitter so that I could optimize my campaign’s results. Shann! I love your meme! It draws the attention of Stranger Things fans but also successfully caters to a wider audience, especially millennials as it’s relatable. I agree, when tweeting on behalf of a business, moving forward, now that we have Twitter Ads figured out, I would definitely suggest using Twitter Ads. It’s great that you received so many engagements from your promoted tweets!